Spending more than earning brings in deficit and makes one reliant on other financing sources like credit card or personal loans. Just like wrong eating habits could take a toll on one's health, ignorance and unwanted spending habits could do the same to financial health of an individual. Here are the five habits that are best to be dropped at the earliest to see a visible change in your personal finances. Spending more than earning brings in deficit and makes one reliant on other financing sources like credit card or personal loans. While most of the Indians have tendency to save, there are still a major proportion of people who do not save regularly and are under debt, which is considered detrimental for the financial future of an individual. A high percentage of Indians are careless when it comes to settling bills, particularly when it comes to credit cards or EMIs. Untimely settling of dues could invite a bad credit score, which is a major yardstick for Indian financial institutions to approve a loan. Individuals should opt for automatic bill payments with their bank to avoid such instances. 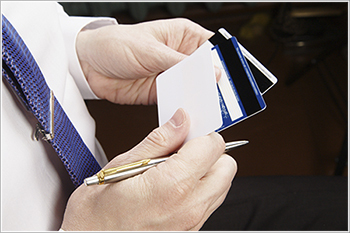 Credit card gives ease of buying things even when you do not have sufficient money in the account and thus, they definitely do buy financial problems too. Credit card spending should go in line with monthly budgets and any irrelevant binging should best be avoided. People do follow the old age rule of saving at the end of the month once the expenses are cleared. This leaves little savings at the end of the month as one tends to indulge in unnecessary shoppings or expensive buys. It is best to divert a fixed ratio of monthly income into a mutual fund through SIP so that you have a fixed cash in hand to spend, which will discipline the spending habit as well. In present times, inflation is reaching new level, exerting pressure on our pockets on a day-to-day basis. Under such circumstances, many rely on just one income source and often find themselves in a complaining state of rising expenses. While controlling inflationary pressures is beyond one's ability, looking for alternative source of income is a viable option in this case.